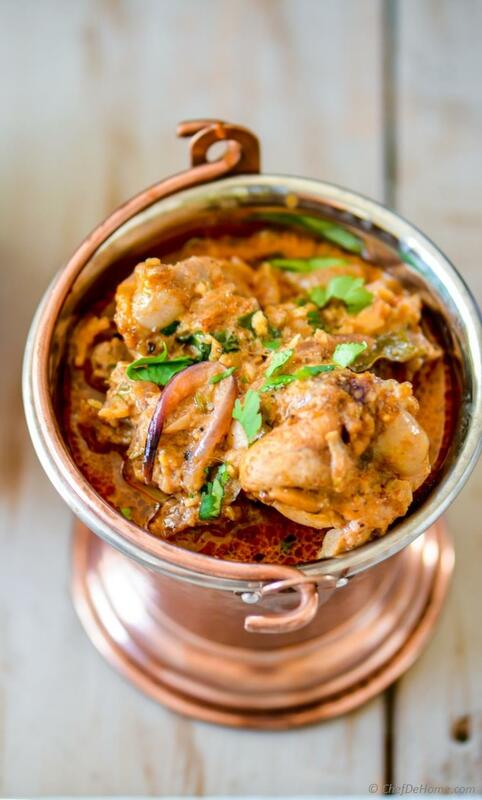 Chicken Korma, an aromatic authentic mild Indian Chicken curry cooked with spices, yogurt and a hint of cream. 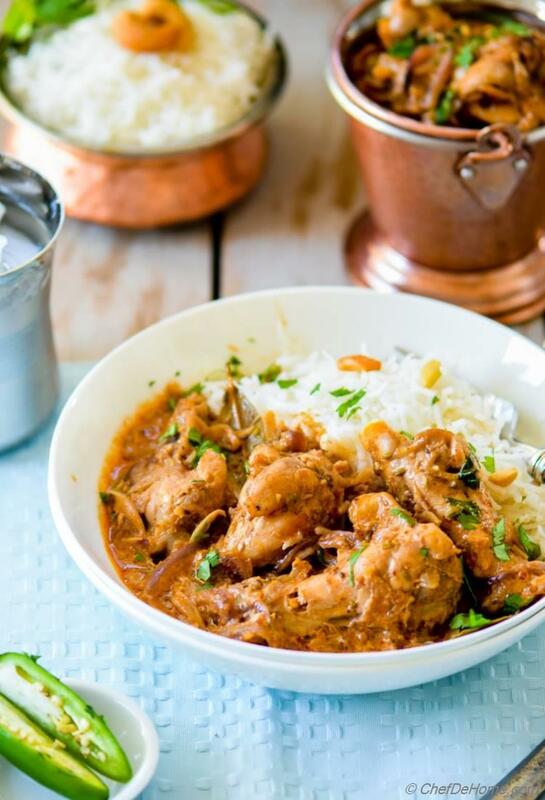 Served with Basmati Rice or Naan for a restaurant-style Indian Chicken Curry Dinner, in comfort of your home. Gluten Free. Nuts Free. 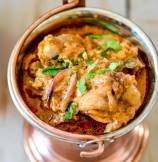 I'm sure you agree, Chicken Korma is everyone's favorite chicken curry in Indian restaurants. 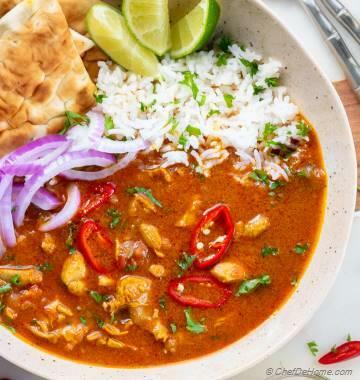 Specially because even though it has beautiful flavor of spices, it's not overwhelming hot curry..... in simple words, it is completely suitable for mild and delicious weekday chicken dinner. Chicken Korma Curry also uses a curry sauce base which I have prepared from scratch. Now, the best part? You can even make this sauce a day or even week in advance! Making Korma Sauce over the weekend and using it for weekday dinner works best for me! Exciting, isn't it? Honestly, if you have sauce ready, this Chicken Korma Dinner will fly from kitchen to dinner table!! 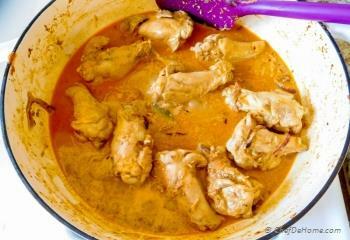 First time when I served Chicken Korma to few of my guests.... All they wanted to know is: What brand of Korma Sauce do you use? I was like, "What is Korma Curry Sauce?! I prepared it from scratch at home!" After finding one brand of Korma Sauce packet in store one day, I realized what do they mean by Korma Curry Sauce! So, here you have it! Authentic Chicken Korma Sauce ready to dazzle your Indian Curry Dinner, quickly and easily..... any day of the week! And flavor!! Bowl-licking good! I promise! Since I'm sharing the authentic recipe, so I have used all whole spices as added in traditional Chicken Korma. However, don't worry if you can't find all spices.... You can also replace whole spices with additional Garam Masala. 1) Only use fresh chicken. Don't re-freeze thawed chicken used for Chicken Korma Curry. 2) Freeze in small portions to keep reheating easier. Never freeze a big portion as will need more time to thaw and can get easily ruined due to excessive heat. 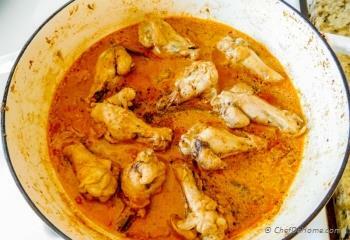 3) The best way to thaw Chicken Curry? If you have time, take it out of freezer and put it in refrigerator before you leave for work. Or place the frozen Chicken curry packet in warm water while rice are boiling. 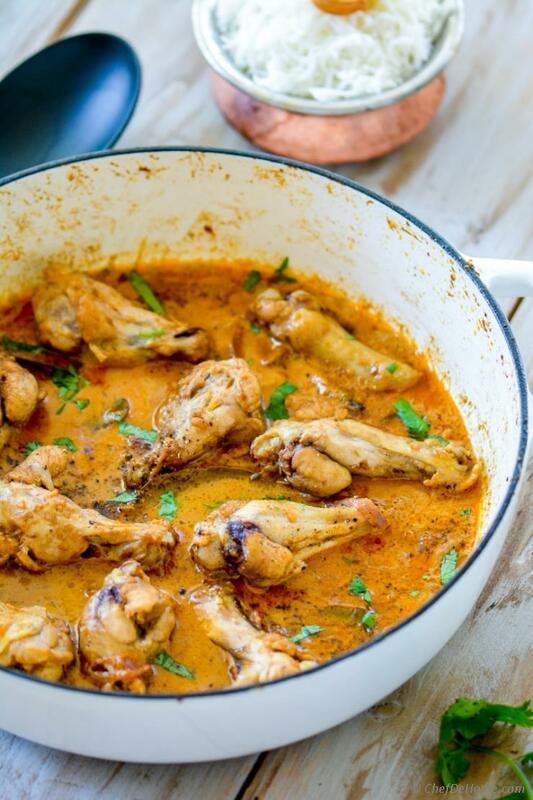 Love Chicken Curries? 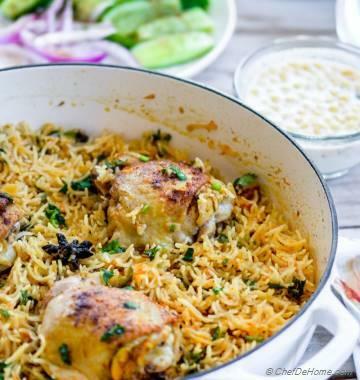 I have a few delicious and easy Indian chicken recipes for you to try! 2. While onion saute, in mortar pestle add all dried whole spices (black pepper corns, cloves, fennel seeds, and mace blade) and crush to make coarse powder. Set aside. 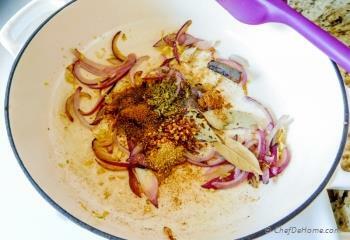 If can't find whole spices, just use powder 1/4 tsp of each. 3. 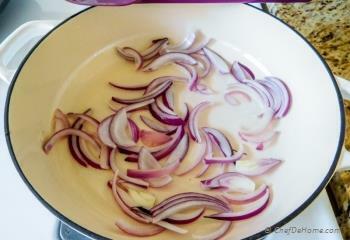 Once onions are light brown, add ginger and garlic paste (or grated) and cook stirring often for 1 minutes. 4. Now add all Korma Curry Spices, tomato paste, and salt and then cook stirring often for 1 minute. 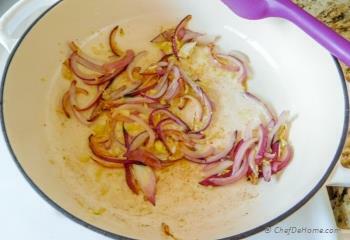 For Korma Curry Sauce, after this step, put all pan ingredients in blender, blend until smooth. Transfer to container with lid and refrigerate. Read more in (Notes) below. 5. 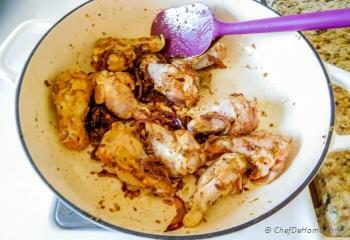 Chicken Korma - Add chicken pieces, and cook with spices for 5 minutes. 6. Then add yogurt, a tablespoon at a time and keep stirring after each addition. 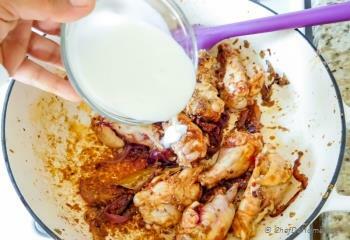 Once yogurt is all mixed in chicken and has started bubbling, add 2 tablespoon heavy cream and stir well. 7. Now add, 1 cup water and mix well. Bring the mix to boil, then reduce heat to medium and cook covered for 8-10 minutes or until the chicken is fully cooked and tender. 8. 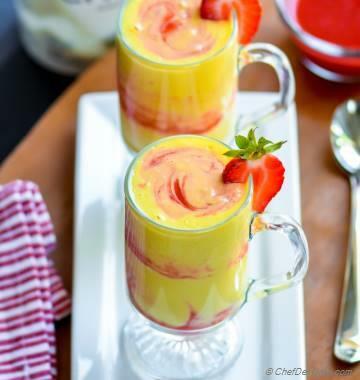 Mix in remaining one tablespoon cream. Taste and adjust salt. Garnish with cilantro. Serve hot with side of rice or Indian Naan bread. Enjoy! Can't find all spices? You can skip all whole spices and add one teaspoon additional Garam Masala. Make sure to adjust the heat of pepper as per taste. For Korma Curry Sauce, after step 5, put all pan ingredients in blender with yogurt, blend until smooth. Transfer to container with lid and refrigerate. Cook chicken with sauce in heated skillet with 1-2 teaspoon fresh oil, then continue with step 7. Please note, provided list of spices and onion-ginger mix is only good for 4 a small quantity of sauce. If only making Curry Sauce for later use, I usually double or triple the sauce ingredients. I once had Chicken Korma t somewhere in the Middle East, but with it they served all these little dishes of what they called condiments. I cant remember all of them, but there was chopped cashews, chopped scallions, chutney and cant remember what all. Do you have any idea what else might be part of those condiments? I have searched the Internet relentlessly and asked my Indian friends without success. I will be forever grateful if you know of any others. Thanks. Hi Marilyn, I can totally understand how it feels when you not know what delicious stuff you ate. Usually when I eat out, my phone is clicking more than I'm eating. :) I'll be more than happy to share my idea of condiments. But I can't possibly do that unless I know if restaurant you ate-in was a Middle Eastern restaurant or an Indian eatery in Middle East. Still trying.. It's possible dish was Korma but served with Middle Eastern condiments such as garlic yogurt, parsley chutney (chirmuah), red sauce (roasted red pepper-garlic sauce). Or mix of indian-middle eastern? From Indian side, I guess cilantro green yogurt sauce, mango chutney, white coconut chutney, red color chili garlic chutney, red color tomato chutney, papdam - crispy waffers, mix-veggie oil based pickle, date chutney (sweet, intense flavor of spices) etc. These is what I have eaten or served as condiments. If you can recall if condiments were dairy-based, cooked-fruit, or smooth sauces. Then I can share better info or may be give you some recipes. I hope it helps. You've given a really nice recipe. Thanks for sharing it! This looks sooo delicious, exactly what I crave right now. Nothing beats a good chicken curry. Thanks, @Adina! Indeed, a good made chicken curry is very comforting!